Austria based singer, Miss Str8 is focused on raising the heat with her new release, “Summertime.” She wrote the song with the intention of reminding us to enjoy the bright sunshiny days and encourage us to make the most of the hot weather months. “Being a Jamaican living in Austria where their are no beaches like Jamaica, it just makes you think of what’s missing. The vibes, the people and no one looks at you like, you’re crazy when you’re singing and dancing on the streets. The vibes in the Clubs tun up! Every summer there is a different style, so the ladies think about what to wear for the season,” Miss Str8 reflects. 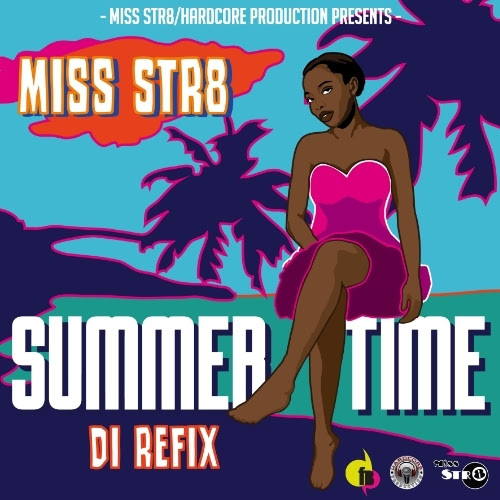 Miss Str8 is a popular dancehall artiste in Austria. She is a true ambassador for dancehall in that region being a former dancehall queen titleholder. She performed in Jamaica for the first time at the last staging of the annual Boxing Day event, Sting.